There are some things that might go wrong with your swimming but very rarely do. But that doesn’t stop us from thinking about all of them – injuries, bad lap times, not finishing the set etc. This is a baggage that will hold you back from becoming the best version of yourself so do your best to stay positive and focus on the best possible outcomes. It’s not that hard and will have a great impact on your swimming motivation! Lack of confidence and fear of failure are considered by leading sport psychologists as the single most important mental factor in sports, so fight it! How? Let us give you a few simple swimming tips on confidence building. Structure is another important aspect of building your confidence in and outside of the pool. Habits drive almost half of our daily actions and can help you feel prepared and ready for the training challenges. Keep your swimming accessories always ready in the bag (it’s a real ritual isn’t it? ), prepare your meals ahead or having just few minutes of exercise every night. Those are just a few tips on how stay confident and motivated that will also make you feel great about yourself! Another great habit is to set a micro-goal for yourself every workout. Some metric you want to improve during a training. This way you can do something better or faster every day and it doesn’t have to be lifetime record – something small and achievable will work perfectly and will give you a real boost in confidence. When talking about workout habits we can’t forget about the details. Mastering the basics like your SWOLF or finishing your hands movement properly is a powerful way of building your self-esteem but also a great way to improve your overall results in the pool! All these actions have one thing in common – these are small things you can easily do. When you’re facing an ambitious long-term goals it might be daunting to even imagine getting there if you think of it as a whole. That’s why ‚baby steps’ is the way to go! Divide your goals into small but meaningful achievements that are easier to plan and think about. This way your workout can morph into a series of small successes! 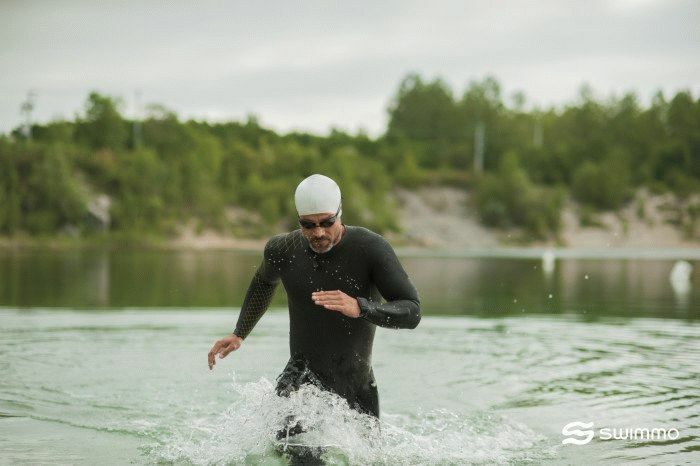 All these tips will work even better if you build in your mind a vision of the swimmer you want to become and hold it in your mind during your training sessions and competitions. As Megan Quann said: „I have been visualizing myself every night for the past four years standing on the podium having the gold placed around my neck.” This shining bright future is going to build hope and motivation that then will turn into confidence you can use to make it reality. Swimmers are in a way performers and some of their struggles are very similar to what a singer or an actor feel before going on the stage or during rehearsals. Our failures are public and generate anxiety but just like a singer you can take control over these feelings. It is possible to turn your fear or negativity into excitement by reframing your workout as a way to become great. Training is a gate into better results and incredible moments during competitions and if you love swimming this is probably enough of gratification to push you into ‚excitement zone’! Another helpful thing is to take a second before the workout and remember all those moments when you achieved something amazing. Your best times, perfect pace, staying in the right heart rate zone during your training – this really can make a difference. Swimmo can help with your confidence and motivation! 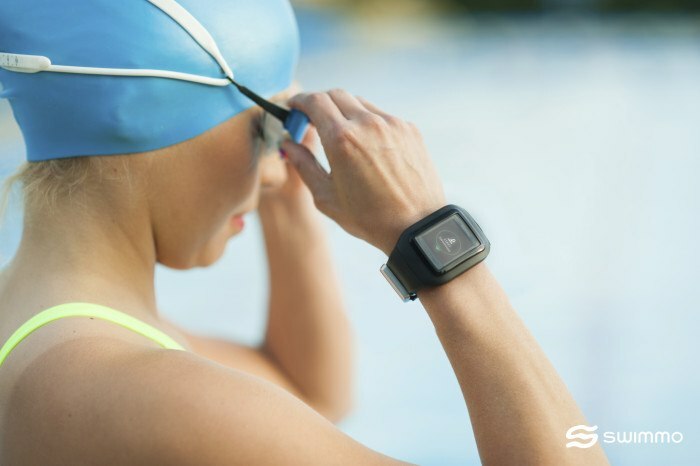 Some of the tips we’ve discussed above can be even easier to use with the help of Swimmo swimming watch and app. Following your progress and having detailed information about all your metrics like times, laps, pulse, pace and more are automatically saved to your mobile app. Every time you break a personal record or achieve some milestone you will be notified boosting your confidence and keeping you motivated. Setting micro goals for every training is just few clicks away wherever you are thanks to the mobile app that’s always with you. 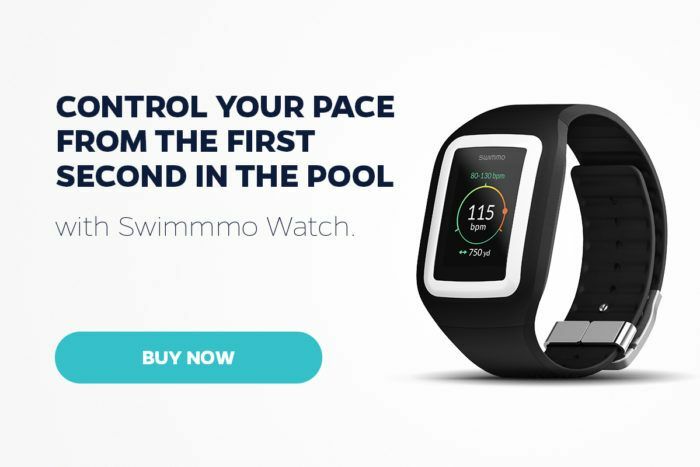 Why don’t you check more info about Swimmo and get more confident faster! We hope these simple swimming tips will be useful to all of you and we are keeping fingers crossed for the more confident version of you. Have an awesome next swim!